Information has been emerging for the last few years about the glyphosate cancer connection, but another scary secret coming to light is that childhood vaccines contain glyphosate! Yes- glyphosate causes cancer and YES- we’re injecting our children with it! Danielle tells us more below. The recent case of Dewayne Johnson in San Francisco, California has brought Monsanto, glyphosate, and its link to cancer back into the spotlight. On August 11, 2018, a California judge ordered Monsanto to pay the total of $289 million dollars in damages to Johnson for RoundUp’s glyphosate as a substantial contributing factor to his non-Hodgkin’s lymphoma diagnosis in 2014. Thousands of similar cases are awaiting trial, demonstrating that Johnson isn’t the only cancer victim who blames their disease on glyphosate and harsh herbicides. As expected, Monsanto will appeal the verdict. A few years ago, glyphosate was in the news when the World Health Organization dubbed it “probably carcinogenic to humans,” meaning it likely causes cancer in humans. Before and since, a number of countries and regions have banned glyphosate from their lawns, fields, or food shelves. Even WHO’s recommendation warning was attacked by U.S. lawmakers, showing clear signs of bias and questionable associations. WHO stands beside its warning that there is a glyphosate cancer connection. In case you don’t know, glyphosate is the key ingredient in Monsanto’s Roundup Ready herbicide. This herbicide is used on lawns and in Roundup Ready farmer fields. It is used heavily on most GMO and non-GMO conventional produce and grains. Is glyphosate harmful to humans? That’s the big question. And although its maker, Monsanto (recently purchased by Bayer) says “no,” some studies are saying otherwise. You see, glyphosate is patented as an antibiotic. We all know that multiple courses of antibiotics can destroy gut health, and with it, nearly all health. Can you imagine what can happen if you ingest it daily? Even worse than most antibiotics, animal studies have shown us that glyphosate can kill the good bacteria, while bad bacteria are resistant to its effects. Glyphosate is also a chelator, meaning that it can effectively pull out substances from the body. Unfortunately, when eaten with food, that means it can pull out the vitamins, minerals, and amino acids from your stomach. Glyphosate, between destroying gut bacteria and limiting food absorption, can very well be leading us to malnutrition. That’s not all. Glyphosate has been linked to ADHD, autism, Alzheimer’s, liver and kidney disease, respiratory problems, depression, IBS, Chron’s, hypothyroidism, Parkinson’s, infertility and birth defects, obesity, and cancer. But is it really that prominent? A study done by professor Paul Mills of the University of California tracked the glyphosate levels in individuals from 1993 to 2016 and found that the levels increased by 500% during that time. Glyphosate isn’t just washing off our food. Our food is saturated with it. Glyphosate is being found in mothers’ breast milk. It is decimating our bee populations, for whom we are dependent on for food. It is unfortunately also showing up in our drinking water and groundwater supplies. Numerous studies have found that yes – glyphosate can and does cause cancer, specifically blood cancer, non-Hodgkin’s lymphoma, breast cancer and prostate cancer. 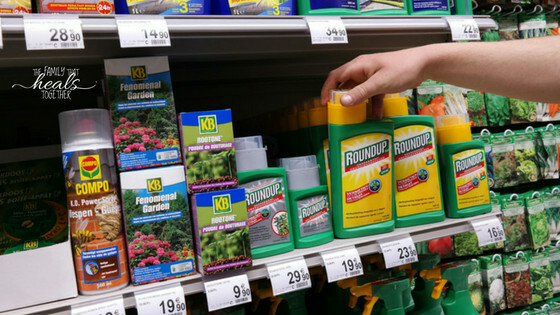 WHO cancer scientists found that glyphosate and other herbicides and pesticides can be genotoxic – meaning it can harm the genetic material of a cell. This breaks down the cell, leading to cancer and other degenerative diseases. Monsanto consistently claims that they’ve done numerous studies, and that there is no glyphosate cancer connection. However, their studies are historically self-funded, done in too short a time frame for cancer to appear, and seem to always come with rumors of study malpractice. What is the half-life of glyphosate? Let’s go back to science class. The half-life of a chemical is the time it takes for it to be essentially cut in half in whatever system it is introduced. The half-life of glyphosate, depending on if it’s in water, soil, or the body, is around 95 days, but can vary anywhere from 3 to 130 days, or even a year in some instances. Since most fields are sprayed with glyphosate immediately before harvest, that means that the likelihood that glyphosate ends up on your dinner plate is high. Add to that the fact that multiple applications of glyphosate have been applied per season, and you have a chemical that isn’t going anywhere fast. But glyphosate is not just on our food and lawns. This grassroots group, known for whistleblowing the harm and truth about GMOs and their herbicides, tested five childhood vaccines and found glyphosate present in all five of them, including the flu, DTaP, and MMR vaccines. Dr. Stephanie Seneff has also found glyphosate in the MMR vaccine. Glyphosate may be present in vaccines through the animal tissues used during production, particularly the bones and marrow used to culture the vaccines. The problem with vaccines is that they circumvent the normal detoxification pathways – the skin, nose, mouth, and eyes. Each of these points of entry has extensive immune reactions to keep invaders out. When a substance is injected, it bypasses all of the immune system’s processes, and the immune system is left to decide if the object is friend or foe. Johnson’s attorney argued that it isn’t just the glyphosate that is the problem, it’s the synergistic effects of all of the inert ingredients in RoundUp that caused his cancer. Studies are showing that he is right. What happens when glyphosate mixes with the heavy metals in vaccines? With the aborted fetal and animal DNA? With the Polysorbate 80? The truth is scientists and doctors do not know, and until then, vaccines, like glyphosate, are just one big science experiment. One where we are the guinea pigs. 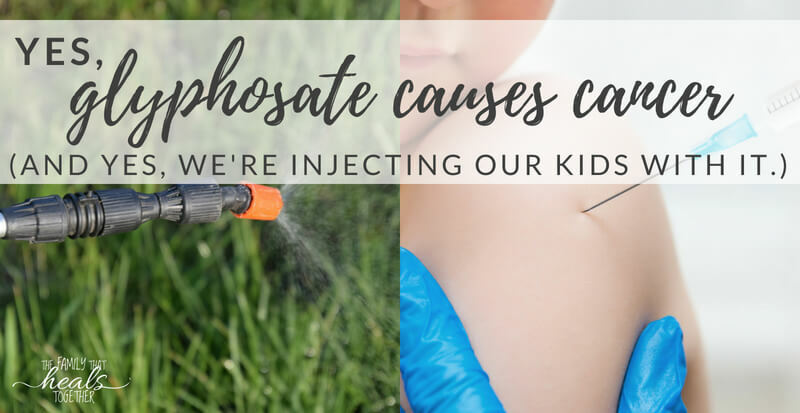 One has to wonder: if studies and juries agree that glyphosate causes cancer, and we are not only eating, drinking, and bathing, but also injecting it into our kids, what does this mean for our children? 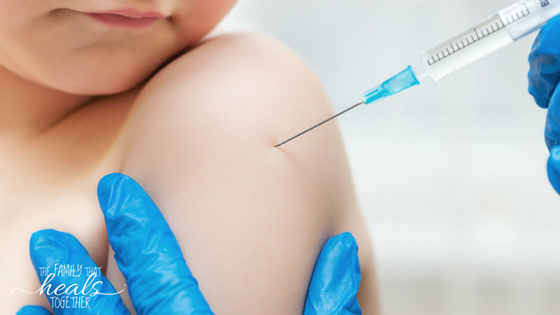 Could vaccines be a contributing factor in the uptick in childhood cancer cases? Unfortunately, the glyphosate cancer connection isn’t the only bad news. Many leading researchers, including Dr. Seneff, have noticed that glyphosate’s ability to mimic a glycine molecule may lead to an increasingly allergenic immune response on the nerve fibers in the brain, creating the perfect storm for an inflammatory, neurological disorder like MS or autism to occur. So, how do you stay clear of glyphosate? Limit swimming in waters near conventional farms, in case of runoff. If you can, live far away from conventional farms. Look for the “Glyphosate Residue Free” label, a new certification for packaged foods. Buy organic and non-GMO foods, ideally from a farmer you know. Ask your neighbors to not spray their lawns, or educate them about organic herbicides. Start a community effort to ban herbicides and pesticides from your neighborhood and town. Detox four times a year, at each changing of the season, with a product like Bioray Primary Detox. It is nearly unbelievable that glyphosate has been allowed to taint our air, water, food, and vaccines. Cases like Dewayne Johnson’s remind us to keep standing up in our communities for a healthier world. Save $50 off an amazing gut health product that removes glyphosate! You can take all of the above steps and still be exposed to glyphosate. The solution is Purium’s Biome Medic. The pre-clinical trials for this product are showing astounding results. 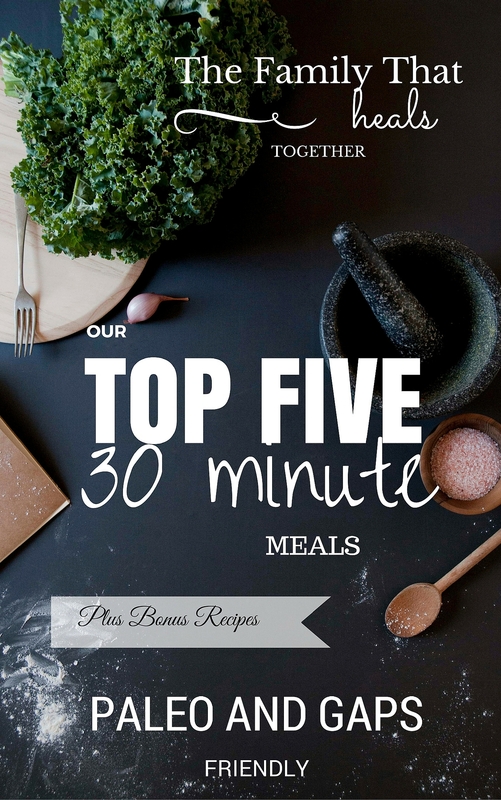 & improved immune function of the gut by 35% as measured by reduced food sensitivities. It has quality probiotics and prebiotics, as well as fulvic and humic acid to remove toxins. Its ingredients target the villi to repair and rebuild. You can go here to see more and to get the greater of $50 or 25% off of your $75 or more purchase using code thefamilythathealstogether. Take steps to limit your family’s exposure to glyphosate, and share this information with your friends and family. As Monsanto appeals, the opposing lawyers will be able to further show the glyphosate cancer connection, and numerous lawsuits and subsequent trials may be able to proceed. Through a horrible story such as this, at least the true dangers of glyphosate come out into the open. Did you know about the glyphosate cancer connection? How about that glyphosate is in vaccines?